For a long time, I didn't realize what a difference having quality cookware makes on the finished meal. A pot is a pot, right? Can one pan really give that much better results than another? I mean, isn't it all about the chef and the ingredients? And then I was introduced to Bialetti, Italy's number one cookware brand, and all of a sudden I realized that maybe I haven't been that bad of a cook all along. I just needed their incredible Aeternum Saute Pans to show me the difference high quality can make on our food. 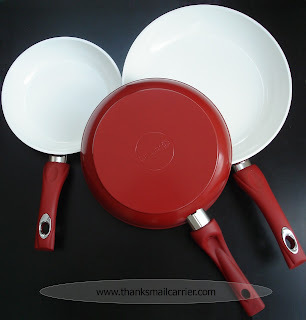 Even before these pans arrived, I loved the clean, modern design and the eye-catching combination of the red and white coloring. Holding them in my hand, this 3-piece saute pan set (an 8", 9.5" and an 11") feels sturdy and strong while the the soft-touch, non-slip, anti-burn handles are comfortable and easy to grip. Right away I had to run my hand over the pristine white nanoceramic nonstick coating that the Aeternum cookware is known for and was impressed with just how smooth it really felt. This water-based coating is one of the purest materials in nature and resists scratches and abrasions while being extremely easy to clean. Also, not only does the nanoceramic coating make these pans great to cook with, Bialetti cares about their customers and the environment as much as their high quality products. In addition to being PFOA and PTFE free (because do you really want to cook chemicals into your food? ), the Aeternum line has its coating applied at a low temperature, leading to a lower emission of CO2 into the atmosphere. Everyone benefits! When it came time to cook, the first thing I noticed was the way that the water beaded right off of these pans. I've used cookware that claimed to be nonstick before, but these didn't even look wet the moment I turned the water off. Then, after adding the food, I was amazed that it almost did the same thing. 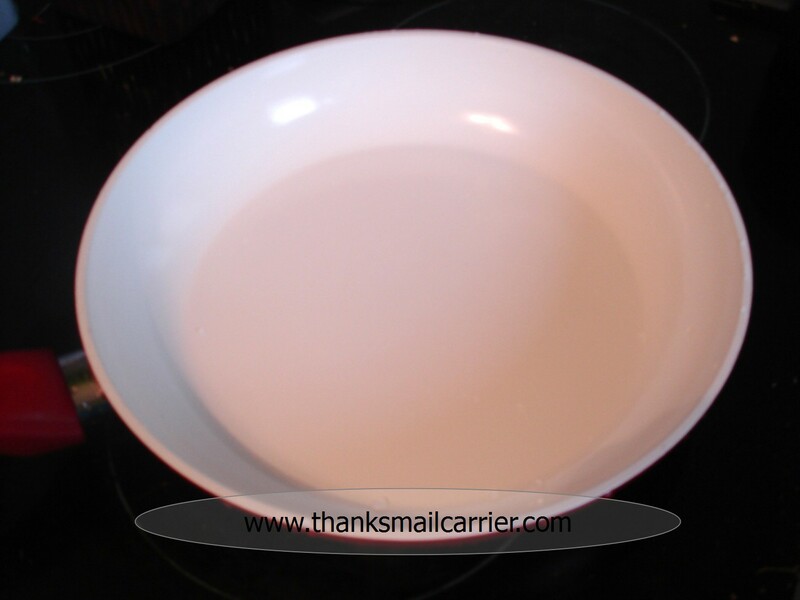 I have now used the Aeternum pans on a variety of foods and have yet to find one that at all sticks to the bright white coating. 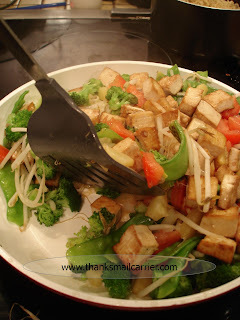 It's as if the grilled cheese sandwiches and the vegetables in my stir fry simply glide along the pan, all the while ending up perfectly cooked and golden. Being able to check on the cooking process is so much easier with the white background as well and I hadn't realized the difference it would make over traditional black pans. Peeking in to check on the status of my food showed just how brown it was getting as well as a reminder as to how it wasn't sticking to the bottom. Clean up for these pans was just as easy as cooking with them, if not more. After cooking dry meals, such as my grilled cheese sandwiches, I could literally just wipe off the crumbs and be done. 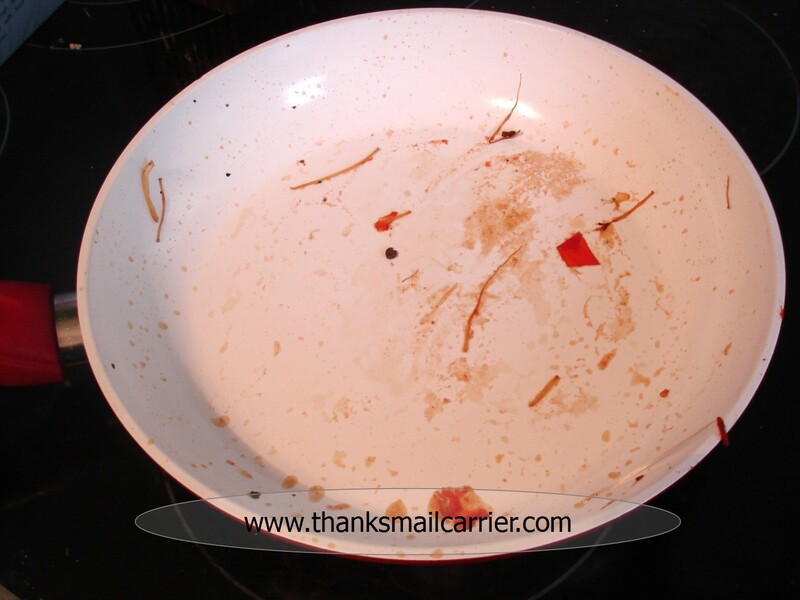 When it came to my stir fry, I did leave the pan sitting for almost 24 hours before attempting to clean off (all for the sake of the review, right? Um, sure) and figured that the dried, crusted-on food and sauce would take a little more elbow grease. Normally I have to let pots and pans soak for a while before making any attempt at scraping and scrubbing off the mess, but in this case the hot water nearly rinsed away the dirtiness all on its own. After a few swipes with a soapy brush, my saute pan was back to its original glistening shiny white. Even better, these pans can go right in the dishwasher! For a high quality, uniquely wonderful cooking experience, the Aeternum line from Bialetti is scratch-proof, recyclable, provides even heat distribution so that dishes are cooked to perfection every time, are easy to clean and come with a 5-year guarantee. 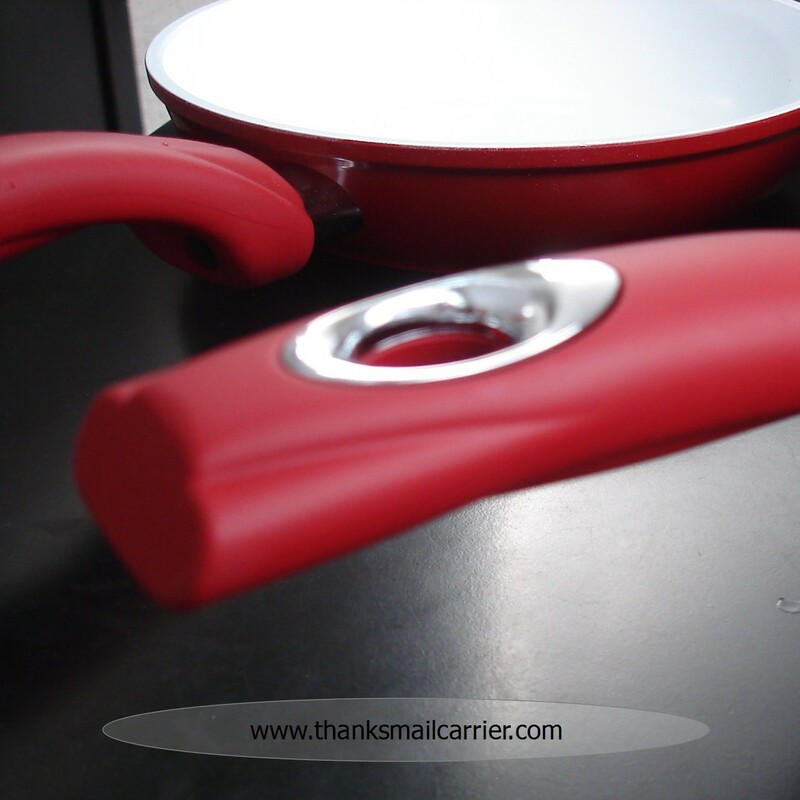 I love the way that this Saute Pan Set makes my time in the kitchen, as well as the resulting mealtime afterward, so much more enjoyable! Currently available from Bialetti, the entire Aeternum line will also be available in specialty and gourmet stores in the near future with a suggested retail price of $19.99 to $49.99. 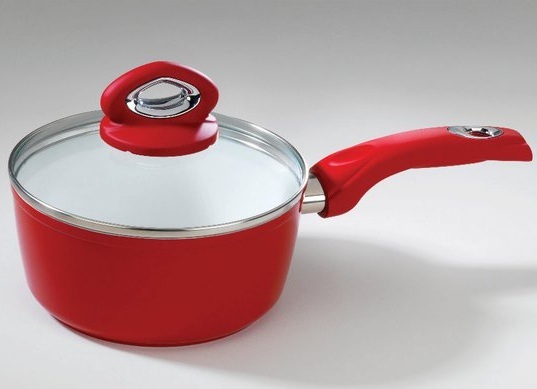 For amateur or experienced cooks, this cookware would make an amazing gift! This post was written for Family Review Network & Bialetti who provided the complimentary product in exchange for my honest review. I won this same exact set a few weeks back and received last week. I have to say I love them. I haven't found anything to stick to them either and I cook a lot! I was actually quite amazed heating up my pizza, because yes I reheat pizza in a frying pan. The cheese that melted down just peeled right up....amazing, and left my pizza perfectly crusty. Yep perfect day old pizza!!! 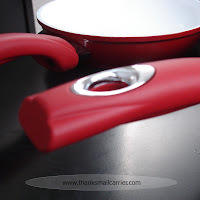 This looks like a really nice line of cookware and pretty too! This is quite the set! It's hard to fins safe non-stick cookware. I'm liking these pans. I never seen cookware in white before. It's nice. I was quite interest on buying a set of this pans, but I saw some really bad comments about them. Some people say that they start sticking after using for long time, is it true? Are you still using them regularly? I'm sorry to hear that others have had problems with these pans, but 2.5 years later ours are still great. We use them nearly every day and they've held up perfectly! !